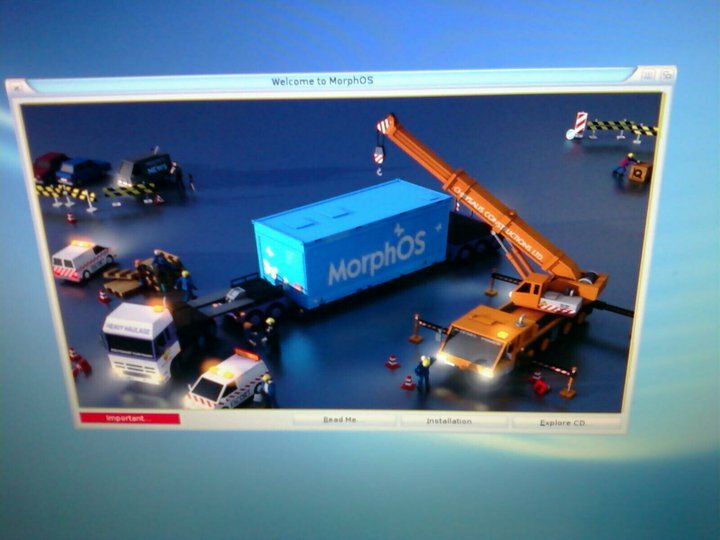 Using MorphOS Again For the First Time In Years! After playing around with the Open Firmware (which I am quite sure is horribly out of date) I was able to figure out how to boot the Peg from the CD, and install the OS to the hard drive. It took me a little while to get used to where the different settings were, then I couldn’t figure out why it wouldn’t see the HD, until I realiszed it wasn’t in RDB mode. After that, slapped on a few Amiga partitions and bingo, off it went. My experience in the short time I have played with the OS is that it is much nicer and cleaner than it used to be. It has come a long way with the new Ambient and other tools. I will take a full play with it and even get it online in the next few days to see just what is out there and available for it. I was very happy to see that they finally included a TCP stack as standard that didn’t have to be registered by itself to use fully. As much as I loved Miami (and did pay for it back in the days of the Amiga), I don’t have my keys anymore and wasn’t able to get Nordic to re-issue them to me. As much as I would like to start making games for MorphOS again, im not sure if I want to pay the $111 euros to get a license key for something I won’t use all that often, and still not even sure if it’s something thats worth developing for. Based on the price alone, which is a little bit less than buying the new Windows 7 operating system upgrade, i’m sure that there are many people who are still only using the 30 minute restricted version. I have a few games that could be ported, but they will have to wait for a while.